Royal Slider for WordPress is responsive image gallery and HTML content slider plugin with touch swipe navigation. Plugin is mobile-friendly and allows creating completely custom slideshows and css3 banner rotators with images, videos or HTML content in slides. You can also dynamically populate data from Flickr, or featured posts of any post type – like WooCommerce products. Developed in best practices of CSS3 and HTML5. For photo gallery you can enable vertical or horizontal thumbnails, enable lazy-loading or fullscreen. 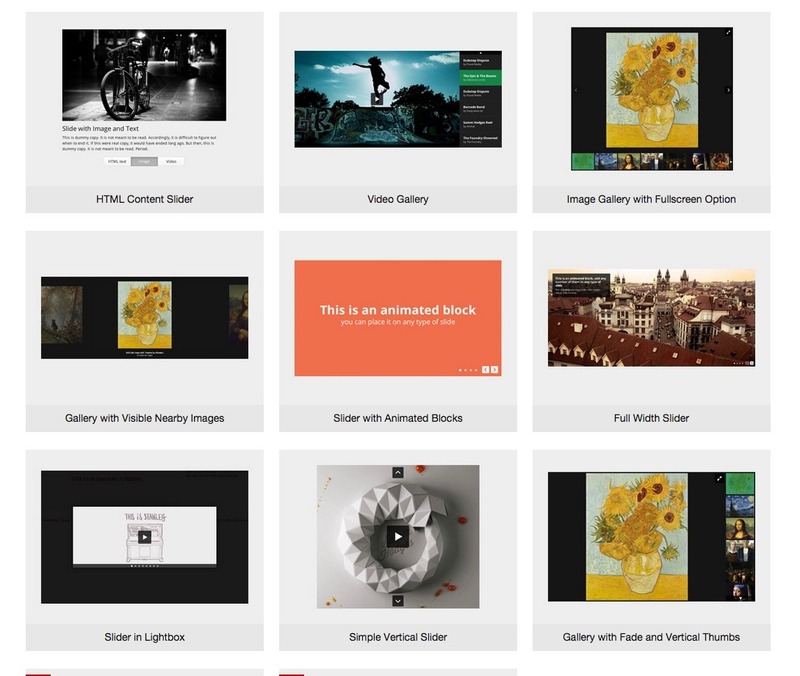 Carousel also supports YouTube or Vimeo videos that allows you to create video galleries. Admin area is designed to be simple for editors and customizable for developers. Easy to use admin area with default WordPress style and inline help. Bulk image uploading, works with WordPress 3.5 media manager. There is an option to override default WordPress in-post gallery ([gallery] shortcode]. 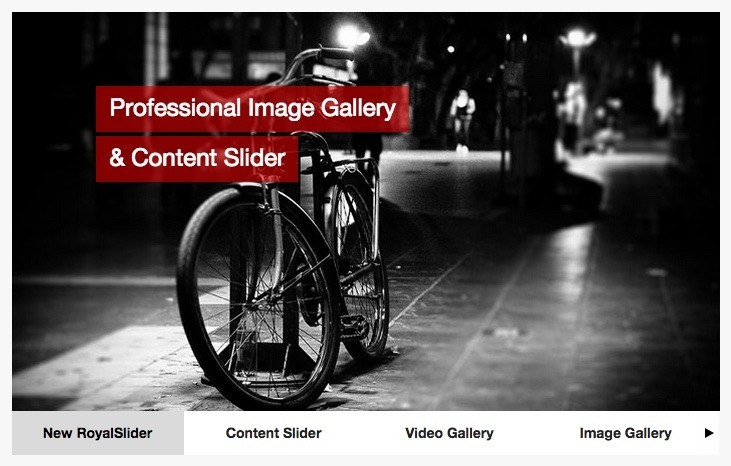 RoyalSlider is fully integrated with NextGEN gallery plugin (both v2.0+ and v1.x). Animated blocks editor that allows adding responsive blocks — add blocks-captions to each slide and edit their content inline. Please note that this is not main RoyalSlider purpose and I recommend minimizing animation as much as possible to provide best experience for users on mobile devices. Set custom move and fade effects, duration, easing and delay for each animated block. Live slider preview in admin. Add images via WordPress media uploader or paste a url. Works with wp 3.3+ and php5. Slider admin page requires Chrome, Firefox, IE9+ due to usage of HTML5 technologies. Slider itself works in IE7+. Visit changelog page for more details. through support forum and knowledge base Questions asked directly through email, or comments section on CodeCanyon might be missed (helpdesk powered by Tender) Thank you for understanding!